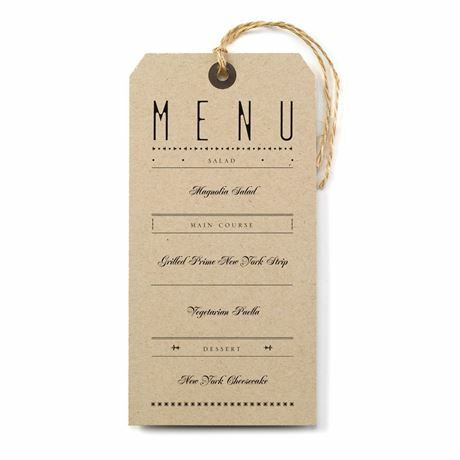 Looking for the perfect menu cards to coordinate with your rustic wedding theme? We've got just the ticket! 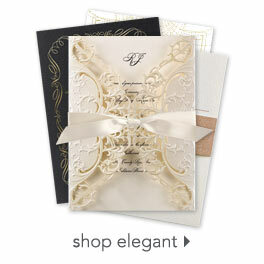 These kraft paper menu cards feature a unique typography layout styled like special event tickets. Design is printed as shown in your choice of color. Your menu details are printed in your choice of colors and fonts. A hole is pre-punched and foil stamped for tying with jute cord. 12" lengths of jute cord are recommended. Jute cord sold separately. This product features thermography printing. Thermography is a unique printing technique that results in raised lettering you can feel, which adds to the luxurious experience of this printed piece. Size: 4 " x 8"